It never fails. Whenever I look for something for a researcher, I always find some interesting article, or photograph or bit of information. This morning I ran across this image of a baptism in the 30 October 1948 issue of Christian Standard. 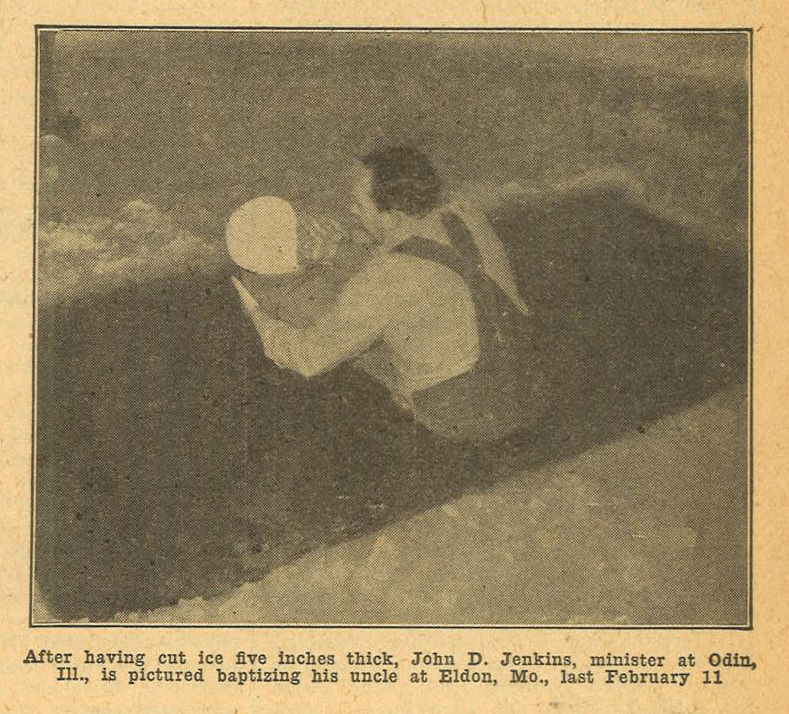 The article describes how Jenkins baptized his three brothers, his sister, wife, three children, his wife’s aunt, two uncles and a cousin…12 souls in all.